As active as I am on this Stack and enjoy the occasional drink I'm realizing more and more that, regardless of how little I drink from day to day, for the most part booze just tends to bring me down a bit, and if I avoid it I usually feel better than if I had had something to drink. So I'd like to put this question out there to get some ideas for drinks that act as sedatives, but which are non-alcoholic. So far I've primarily been using lavender and chamomile teas, and straight water. Water specifically isn't sedating but does tend to balance out overloads of caffeine or sugar. Is there anything else that's commonly used for this purpose? Allow me to suggest a Kava tea as an alternative to an alcoholic drink due to it's sedative properties. Kava drinks - often referred to as "kava tea" - are made from the roots of a plant grown in the South Pacific, and they're known for their purported anti-anxiety and antidepressant effects. When ground up and mixed with water, the root turns into a juice that some claim can be a natural alternative to alcohol. It has been used for thousands of years as a ceremonial and social drink in the South Pacific. Basically, the drink mimics alcohol's relaxing and sedative effects without the downsides - no extreme emotions, no memory loss, and no hangover. Tech Insider previously reported on kava's key compound, kavain, which mimics a sedative and triggers relaxation in the body. It works as a muscle relaxer, so while you're mentally alert, you feel physically loose. Kava is like chamomile on steroids. This muddy-tasting little root comes from the Pacific Islands, where people have used it for centuries as everything from a pain reliever to a ceremonial drink. A potent anxiety reliever, kava offers a non-alcoholic way to wind down at the end of the day, especially if you’re working late or you have trouble falling asleep. The secret lies in kavalactones, the psychoactive parts of the kava plant. 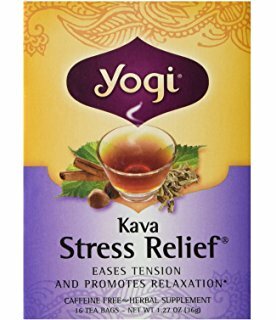 The kavalactones in a cup of kava tea, or a few drops of kava extract, can put you into a rare state of relaxed focus. If you can not find it locally, it may be obtained on Amazon. I don't know where you are located, but in my state Cannabis is legal and would be a perfect replacement for alcohol. Cannabis oils are not water soluble, so you have to get there a different way than just putting the flower buds in water, but it's pretty easy. The effects of Cannabis are well known, so I won't go into what it does to you. An infusion of dry flowers and water — typically less psychoactive because THC is not water-soluble. A mixture of cannabis infused with fat (e.g., coconut oil, butter, and/or dairy) combined with tea leaves and water to make a chai or latte-type drink. A mixture of regular tea leaves and water heated with an alcohol-based extraction (such as a tincture) added to it. Tulsi, aka holy basil tea actually lowers the cortisol levels in your body, and speak as a person who used to drink daily for stress, this has worked the best for me. So I went to my local tea shop and had a chat with the owners there, who are experts on this topic, and ended up picking up a few more sedatives. Update: I've also taken the suggestion in one of the other answers to try Tulsi, and this has turned out well. Where teas like Chamomile or Lavender are good sleep aids, Tulsi acts as more of a relaxant that can be drunk at different times of the day. Any cold-press concoction of Nut Meg powder can give a sensation of relaxation. Not the answer you're looking for? Browse other questions tagged non-alcoholic or ask your own question. How is non-alcoholic beer produced? Do open container laws in the U.S. apply to non-alcoholic beers?